On view at Luexembourg & Dayan in New York City is an exhibition focusing on painted works with a non-rectangular canvas. In 1964, The Shaped Canvas was an exhibition held at the Solomon R. Guggenheim Museum, curated by Lawrence Alloway, revealing the desire to overthrow existing aesthetic hierarchies. The current exhibition revisits this 1964 exhibition, featuring more than two dozen works connecting the postwar history of the genre to present day use of the shaped canvas. The Shaped Canvas paradigm suggests a hybrid between painting and sculpture. The practice largely began in the early 1960s by artists such as Paul Feeley, Frank Stella, and Neil Williams, all included in the defining Guggenheim show, The Shaped Canvas. The new form was spurred by the postwar space-race American feeling during the 1960s, when shapes such as triangles, diamonds, rhomboids, and trapezoids commonly represented concepts of speed and streamlined stylization. Artists participating in the practice at this time rejected behind-the-frame illusionism, and opted for a plunge into “real” space, thus making the canvas a part of the abstract painting itself. 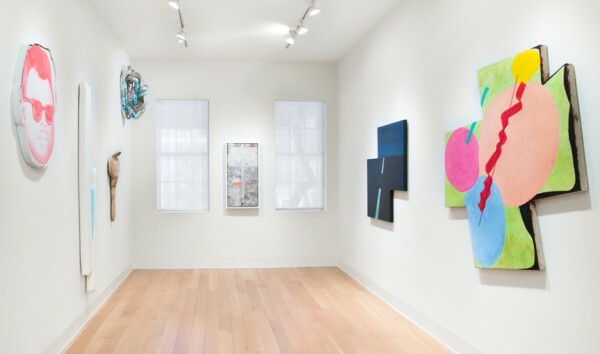 As the current exhibition shows, the painted, shaped canvas has continued to be a relevant practice well beyond the 1960s and into the present day, most commonly seen in the Pop Art and Arte Povera movements, as well as in Minimalism. 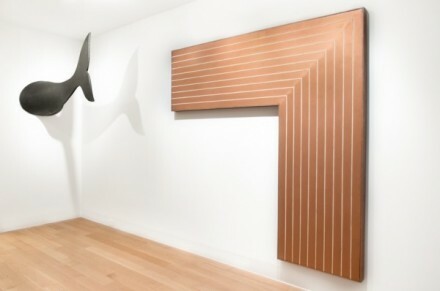 The exhibition at Luxembourg & Dayan inlcudes Frank Stella’s copper L-shaped Creede II (1961), Elizabeth Murray’s Twist of Fate (1979), and Kenneth Noland’s Midnight (1979), and Pino Pascali’s dolphin tail of black paint and glue on canvas and wood Coda di Delfino (1966). 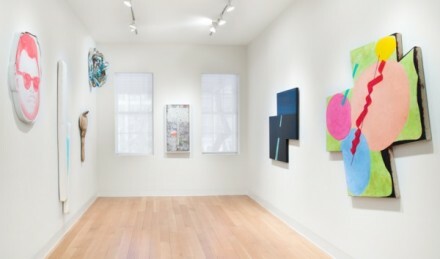 Shaped paintings of the last decade are displayed alongside works that preceded them. Olivier Mosset’s Copper Star (2008) is compared with Charles Hinman’s Oceanus (1981) and Nate Lowman’s bullet hole canvas White Escalade refers back to James Rosenquist’s Head on Another Shape: Study for Big Bo (1966). 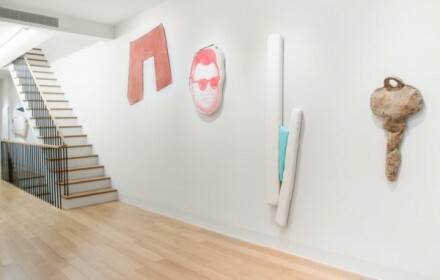 While some of the works in the exhibition are pivotal in the development of the genre, other contemporary works from younger artists have never before been exhibited, in order to represent the constant reimagining of the form and the unlimited possibilities of the medium, including pieces by Justin Adian, Jeremy Deprez, Jacob Kassay, and Rebecca Ward. Among the other more well-known artists represented are Lucio Fontana, Damien Hirst, Ellsworth Kelly, Roy Lichtenstein, and Tom Wesselman, among others. The exhibition will be on view at Luxembourg & Dayan, open Tuesday through Saturday, 10am-5pm through July 3, 2014. 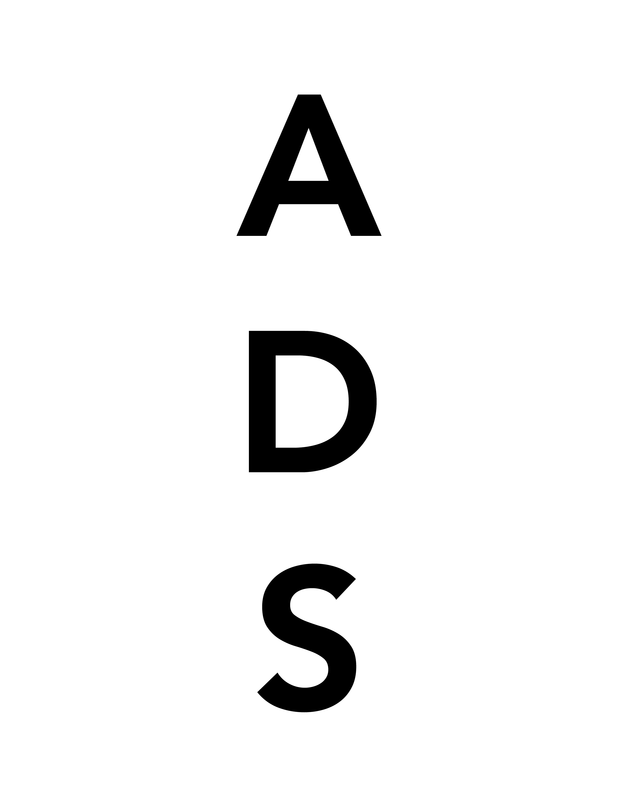 This entry was posted on Wednesday, July 2nd, 2014 at 3:51 pm	and is filed under Art News. You can follow any responses to this entry through the RSS 2.0 feed. You can leave a response, or trackback from your own site.